Huawei will be making an appearance at the MWC 2017, to launch their P10 and P10 Plus Android smartphones. Along with the phones, the company is also set to launch their latest smartwatch – the Huawei Watch 2, which has recently been leaked by Evan Blass. According to a report by Forbes, the watch will be paced with Android Wear 2.0 from the get-go. 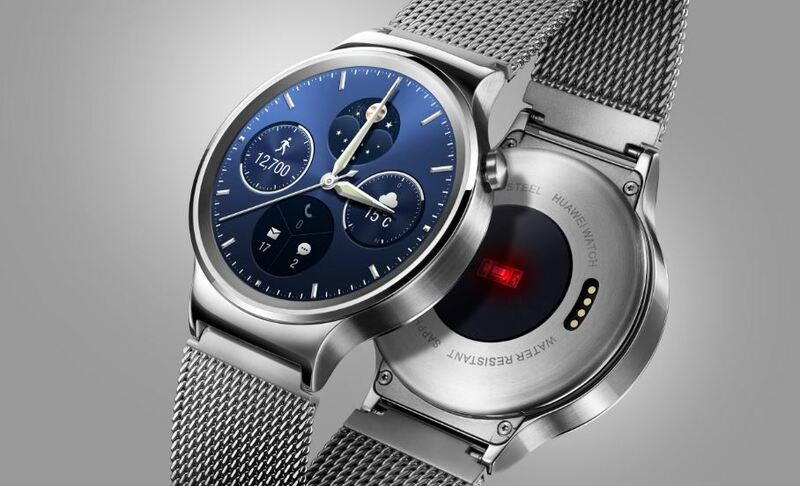 Compared to the first iteration of the Huawei watch which looked more regal, this one has a sportier look to it. The leak consisted of images of the smartwatch. The images show a SIM tray slot for the watch. It will have a textured rubber strap, as well as a diver-style bezel. The case is expected to be a 42mm unit, with a 1.4-inch screen housed. The strap is also interchangeable, to stainless steel as well as leather. It will be available in three different colours and should be launched at the MWC 2017. After the first Android Wear 2 flagship – the LG Watch Sport, it seems like the Huawei is next in-line to be considered an alternative, as long as the pricing and the features are right. It may be possible that the smartwatch will not come with NFC, which means no Android Pay. But that also means that it could be cheaper when compared to LG’s offering. It was also realized the smartwatch is actually an old design of Huawei’s and thus, will not have the rotating crown function. It was delayed for the release of Android Wear 2.0. The company has also released numerous teasers online in order to create hype for the smart watch. Interestingly, other companies are also releasing their own Android Wear 2.0 watches. ZTE, Tag Heuer, Swarovski and others will be joining the fray. With the new Android Wear 2.0 release, owning an Android smart watch is no longer a second option. It seems that the floor is now open to interpretation with the new Android Wear 2.0 interface for companies to use as they see fit. Currently, the only competitor to the new Huawei Watch 2 will be LG’s own Watch Sport. As we mentioned earlier, if they can price it right, it could be the Smart Watch flagship of the year. This is a new avenue for many smartphone makers to explore. Although it’s still gaining popularity, the smartwatch is here to stay.